The passion of a Greek man for Kamado style barbecues evolved over time into an ingenious and innovative company that provides the highest standards to its customers. The Primo brand, meaning “Best” in Italian, was created in 1996. With time and growing demand, the businessman developed a number of ceramic products that stand out by quality and versatility, as well as efficiency and originality. Primo barbecues are now being manufactured in a 92 000 square feet factory that is also home to the company’s head office in Tucker, Georgia. The Primo brand is distributed in 38 countries worldwide. 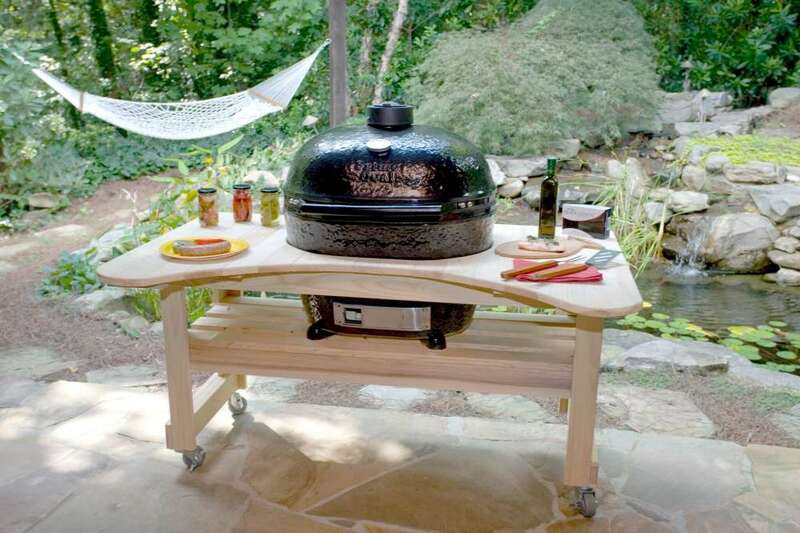 Much more than ceramic Kamado grills. 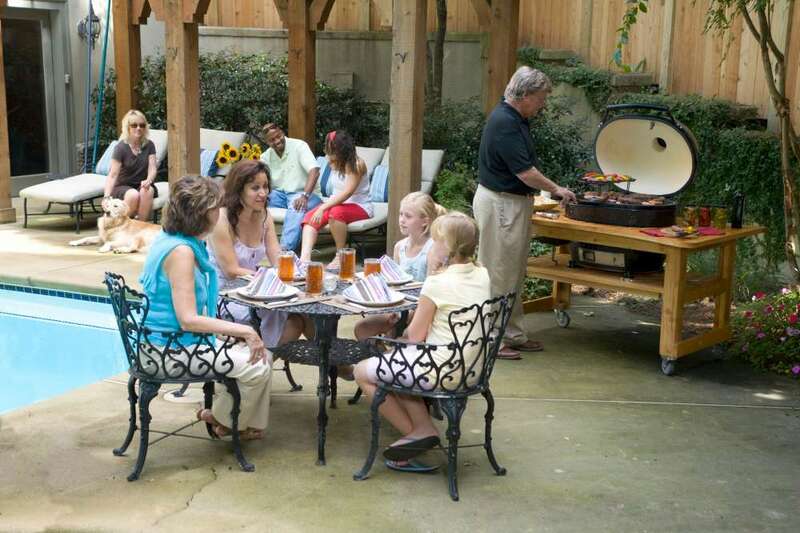 George Samaras’ company conceives traditional and oval shaped Kamado style ceramic grills. 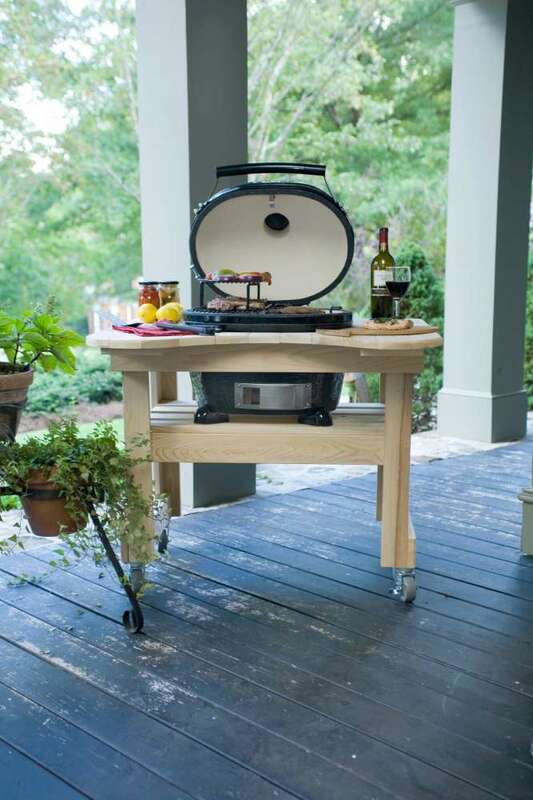 It also offers the Primo Go, a portable grill featuring the largest cooking surface of its category. 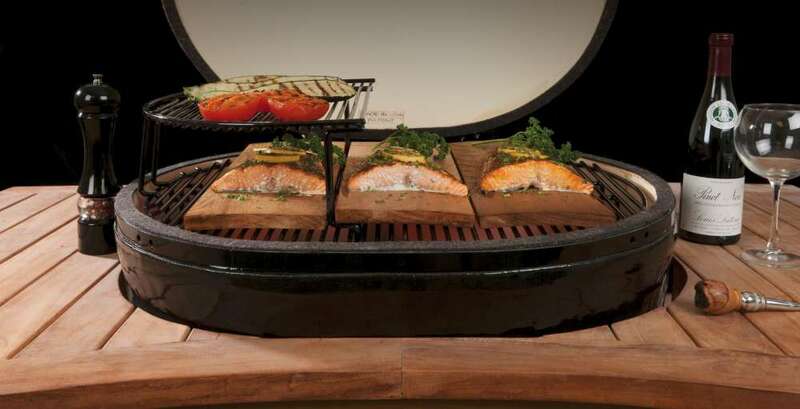 Once the optional rack system in place, it provides a cooking surface as large as 360 square inches.But that’s not all, this small grill is also extremely versatile as it allows for grilling, roasting, baking as well as smoking. 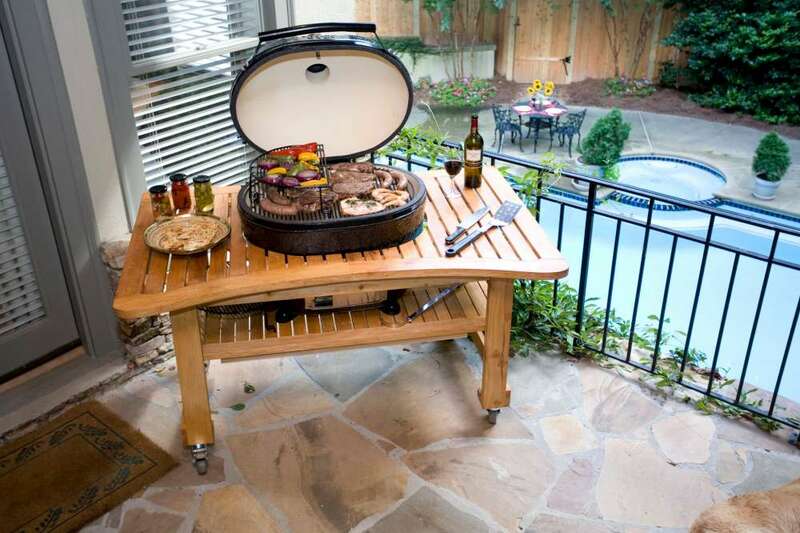 But beyond charcoal grills, the brand also offers the unique Primo Oval G 420 gas barbecue. This appliance combines the convenience of gas to the excellent heat and humidity retention capacity of the ceramic conception. Comprising four burners, this grill also comes equipped with optional racks providing a modular cooking surface of up to 615 square inches. You can easily reach specific temperatures, contrary to charcoal grills where such adjustments require some amount of expertise.